Don’t get me wrong I’m still smitten by this stitch pattern. I think it fits very well with the cold, calm, and white snowy days of winter. But the proportions are off. The lace is too narrow and the garter stitch is too wide. I don’t want to jinx it but I know how to improve this border. And make it shine and be as pretty as it is in my mind. 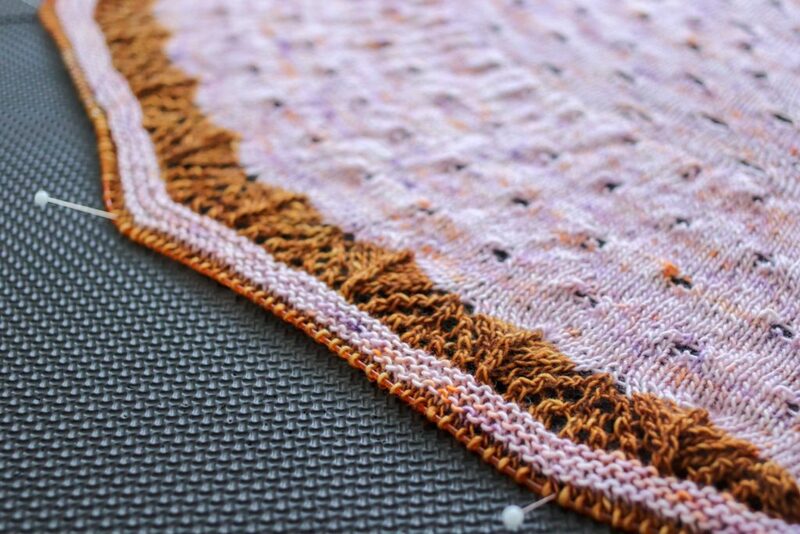 And I think frogging will definitively be the best thing that happened to this shawl.